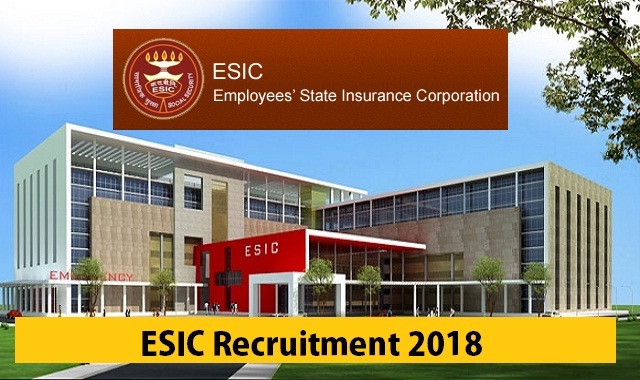 ESIC Delhi Recruitment 2018 2019 Apply Online Application Form for 206 Professor, Associate Professor, Assistant Professor Posts Apply Online through Official website www.central.esicmchsnr.co.in. ESIC Delhi Teaching Faculty Jobs Notification 2018 Released. The Interested and Candidates are requested to apply online through Official website www.central.esicmchsnr.co.in. The last date for submission of Online applications is 02.04.2018. ESIC Recruitment 2018-206 Teaching Faculty Posts - Apply Online. Associate Professor - Rs. 39100 with G.P. of Rs.7600/- plus Non Practicing Allowance. Assistant Professor - Rs. 15600- 39100) with G.P. of Rs.6600/- plus Non Practicing Allowance. ESIC Medical College, Gulbarga (Karnataka). ESIC Dental College, Rohini, New Delhi.